« Congratulations to the CrystEngComm award winners at the 26th Symposium on Organic Crystals! Check out our Editors’ Choices of recent articles! CrystEngComm is the journal for innovative research covering all aspects of crystal engineering – the design, synthesis, crystallisation, and evaluation of solid-state materials with desired properties. Our Editorial Board members are leading researchers in these fields, here are some selections by Tong-Bu Lu and Omar Farha of hot new article in CrystEngComm, as well as some of our favourites! All of these articles are free to access for a limited time. 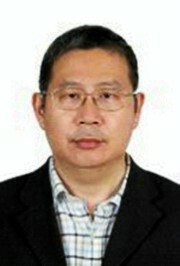 Professor Lu works at the Institute for New Energy Materials and Low Carbon Technologies, based at the Tianjin University of Technology, China. His research interests include the recognition and activation of molecules and ions by the macrocyclic compounds; the constructions of porous metal-organic frameworks, and investigation of their properties for gases storages and separation, ions exchange and chiral separation and pharmaceutical polymorphs and cocrystals. He has been recognised as a distinguished Professor in Guangdong Province, China. Professor Farha works at the International Institute for Nanotechnology, based at Northwestern University, USA. 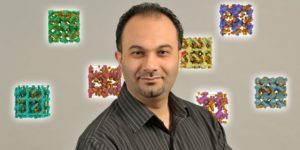 His research interests include Rational design of metal-organic framework and porous-organic polymer materials for catalysis, gas storage, gas separations, sensing and light harvesting and the rational design of new shuttles, dyes and fabrications to solve problems involving solar energy conversion. The CrystEngComm editorial office is based in Cambridge, UK. Submit your research on coordination networks and crystal growth to CrystEngComm – see our author guidelines for information on our article types. Find out more about the advantages of publishing in a Royal Society of Chemistry journal.